Patent Pending High quality Cow hide leather speedball set with Steel Swivel. 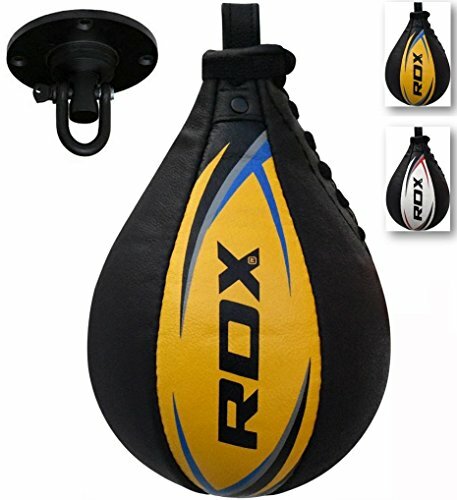 Has an inflatable bladder inside which is pumped using a normal football pump. Tie design allows bladder to be replaced. Swivel can be fixed to any suitable surface. Comes with RDX elite swivel has a reduced centre hub for speed/balance and rhythm of ball action. Made from a high grade of stainless steel and constructed with quality bearings this allows a speedball to move freely in the direction of force thus allowing a fast and continuous strike rhythm when hit.